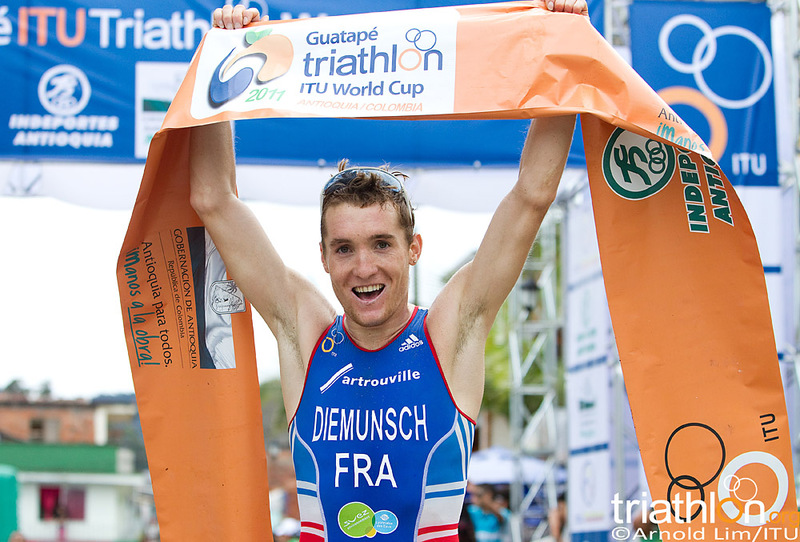 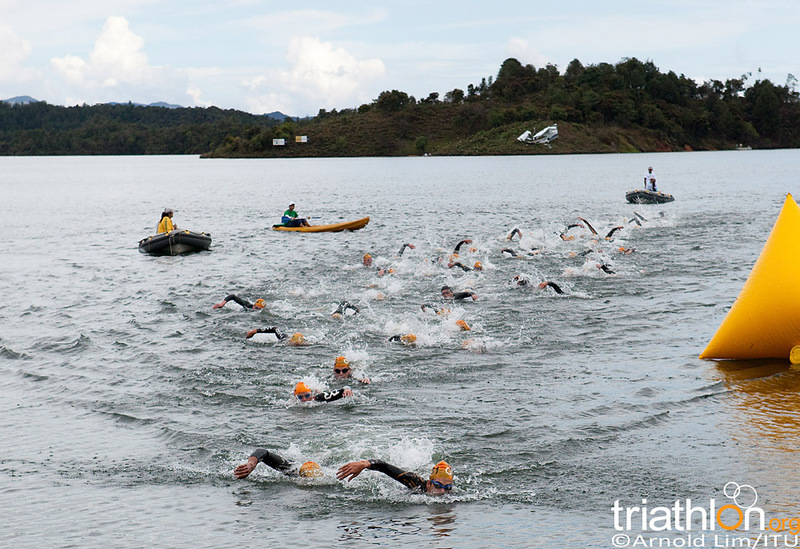 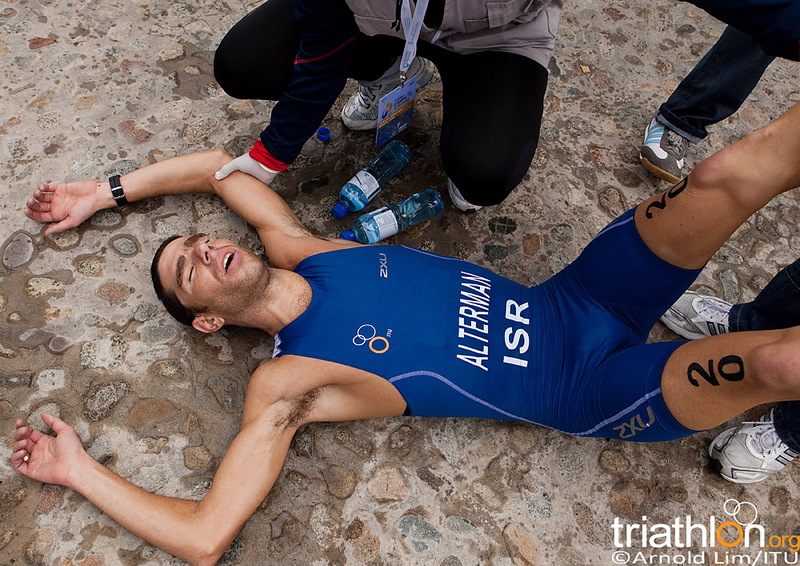 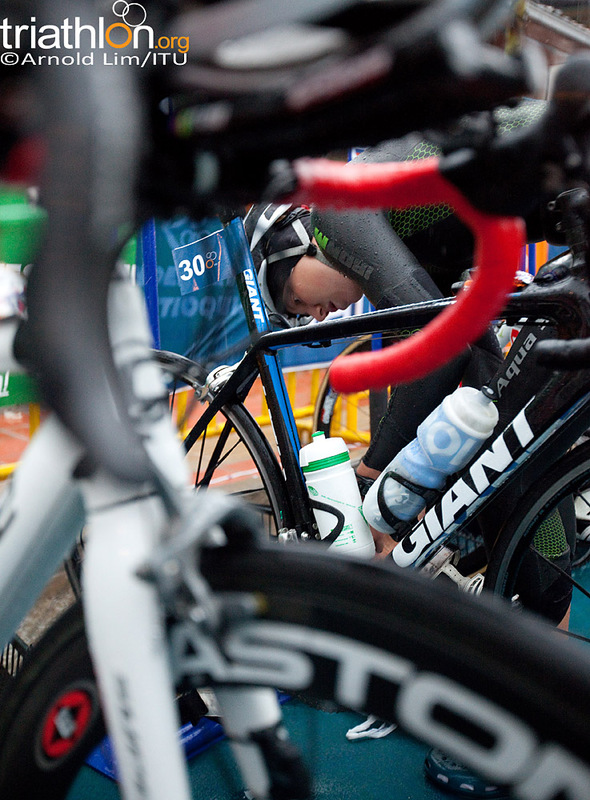 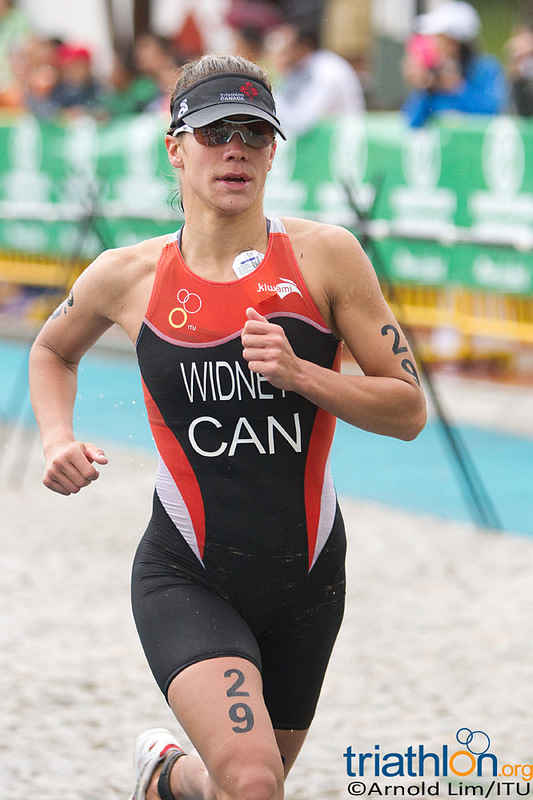 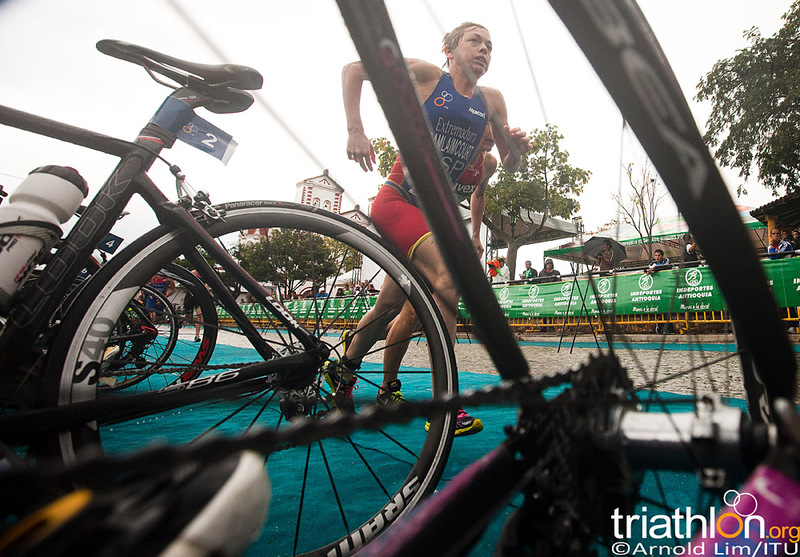 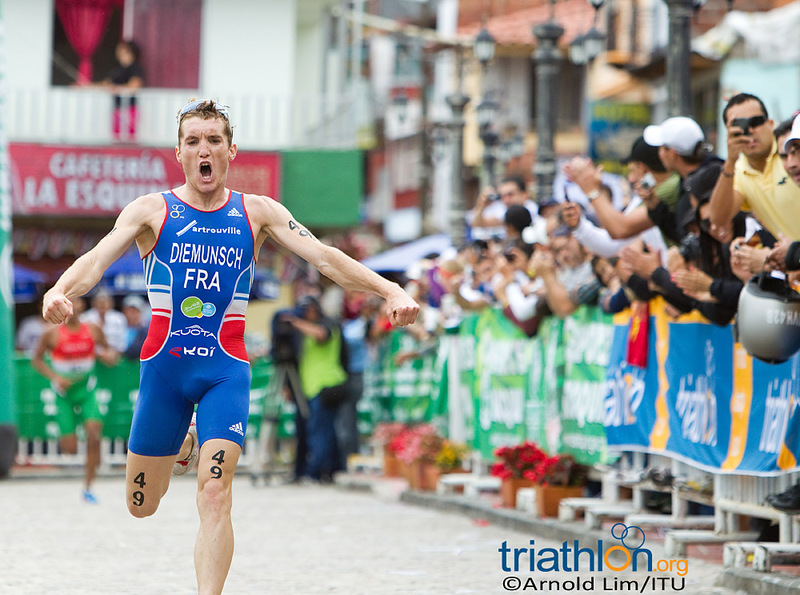 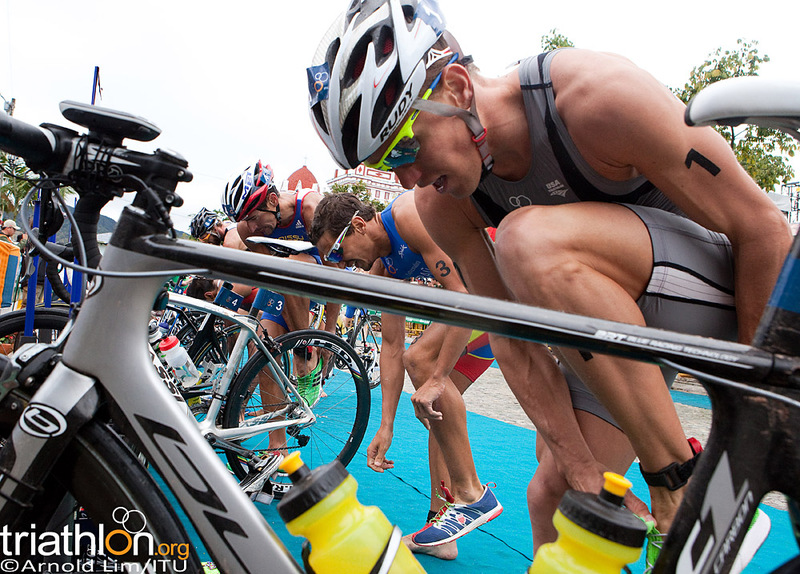 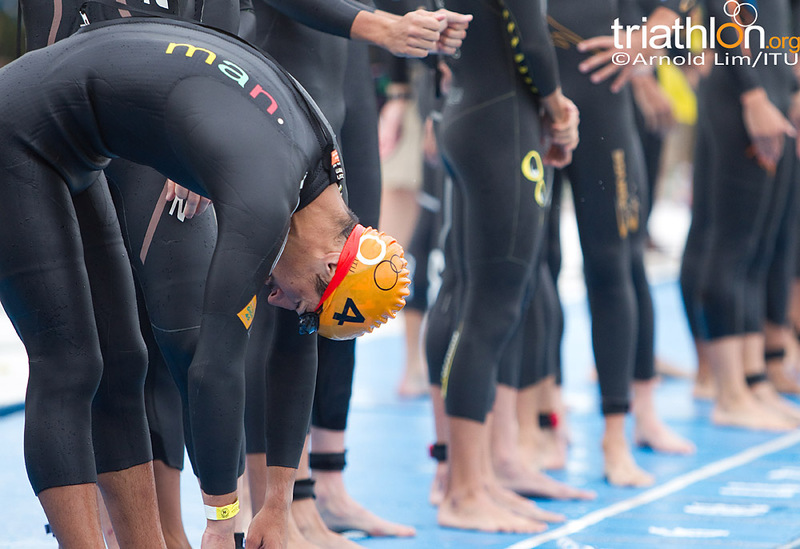 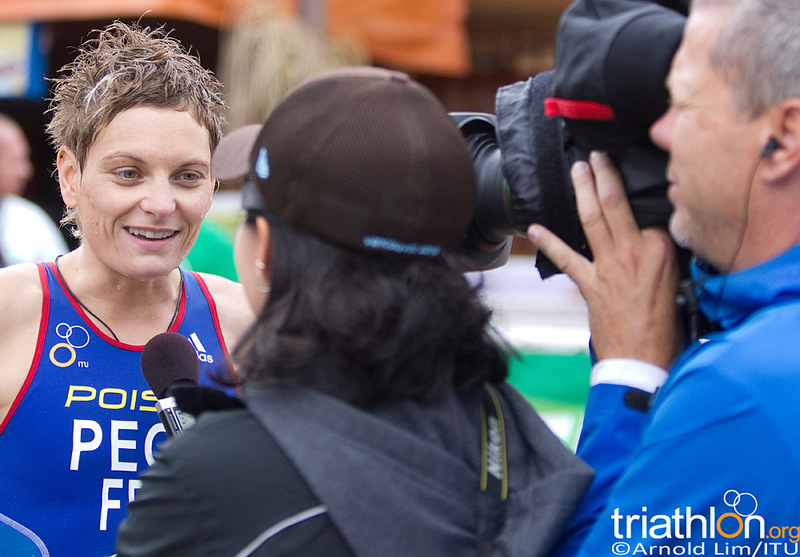 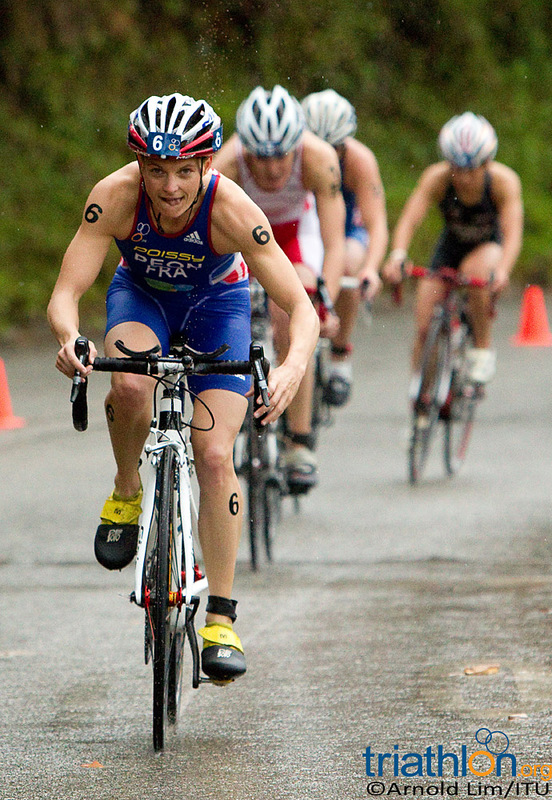 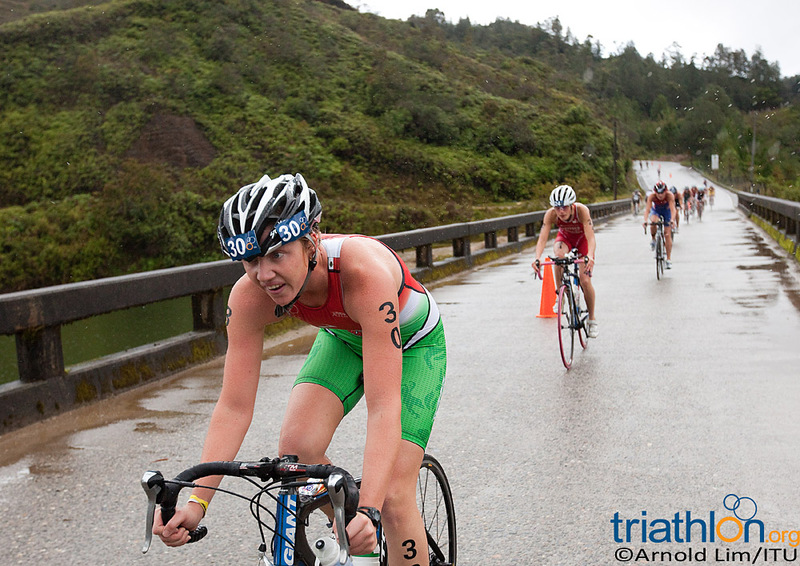 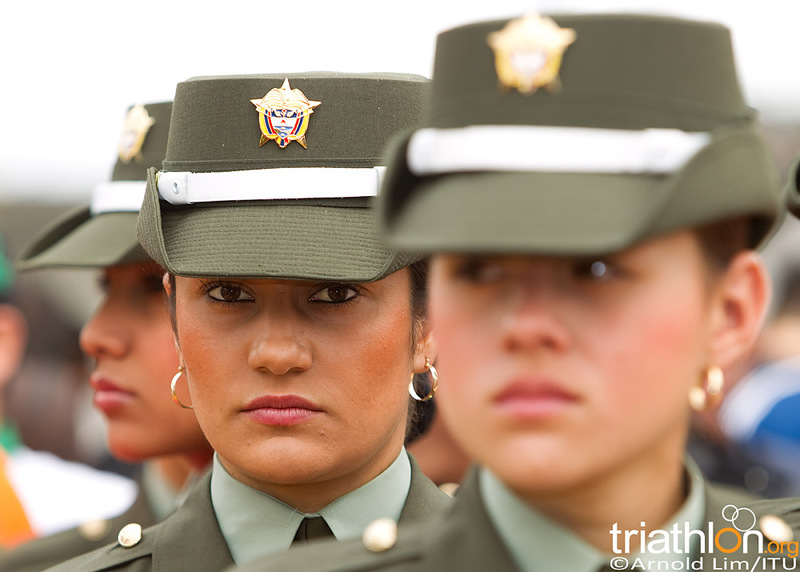 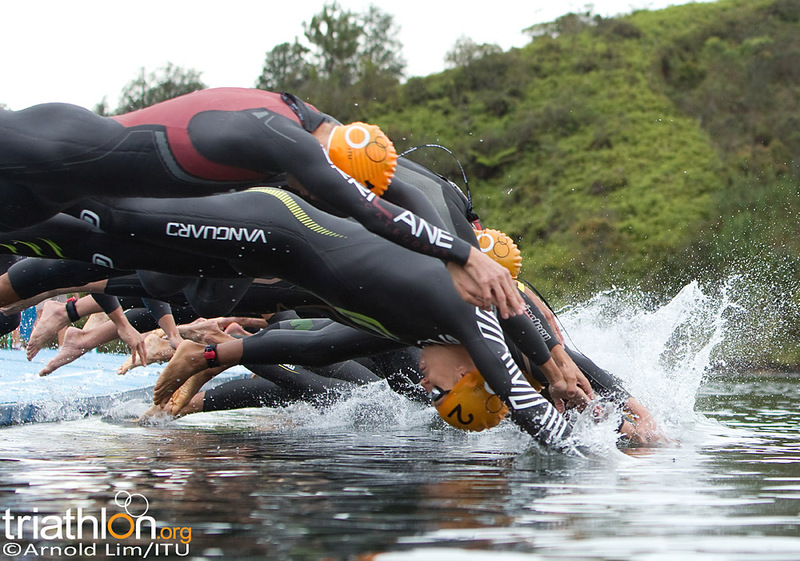 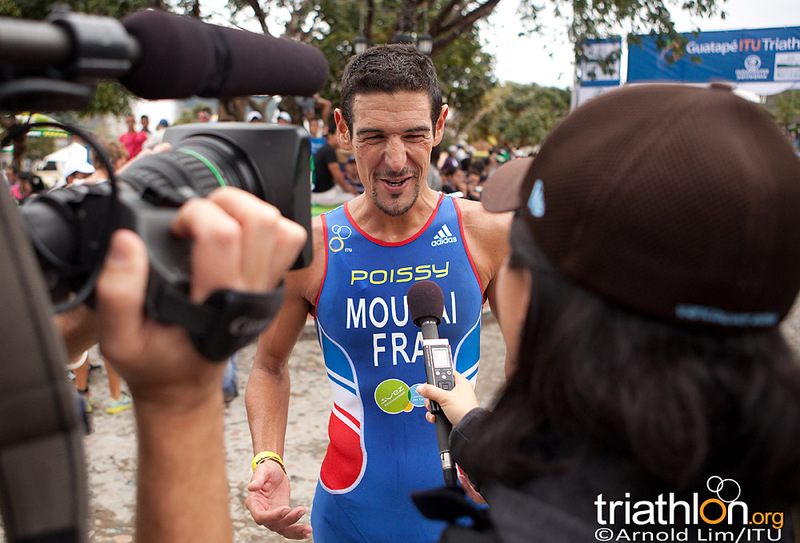 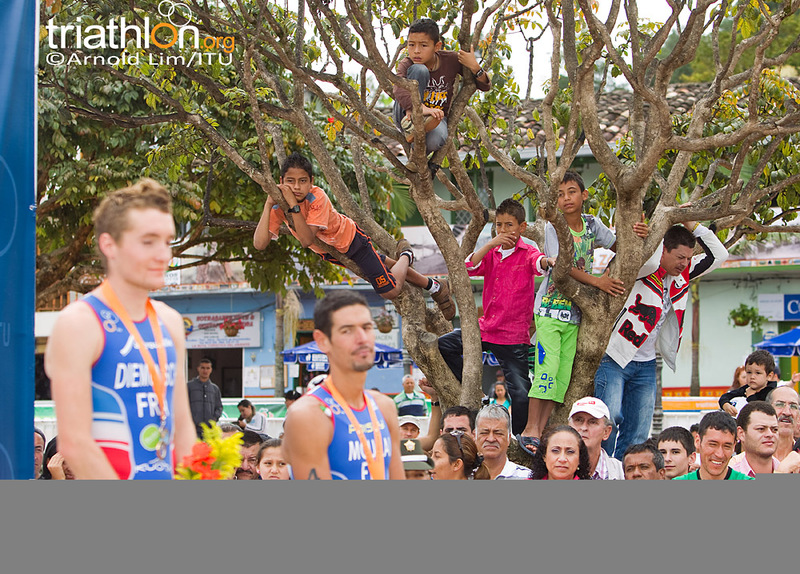 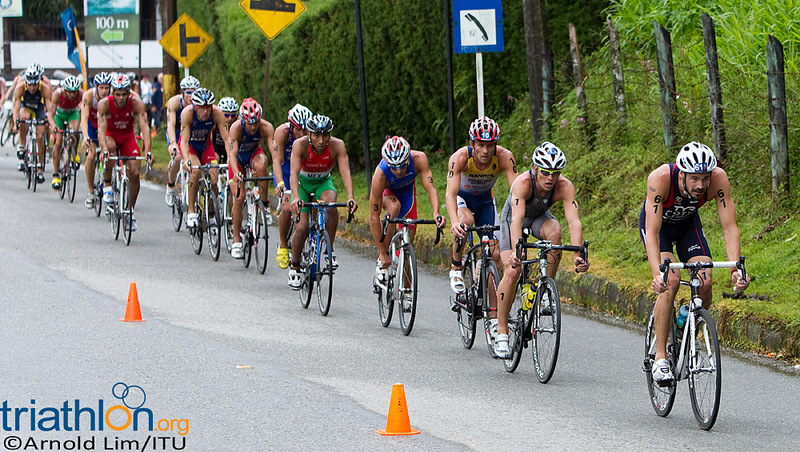 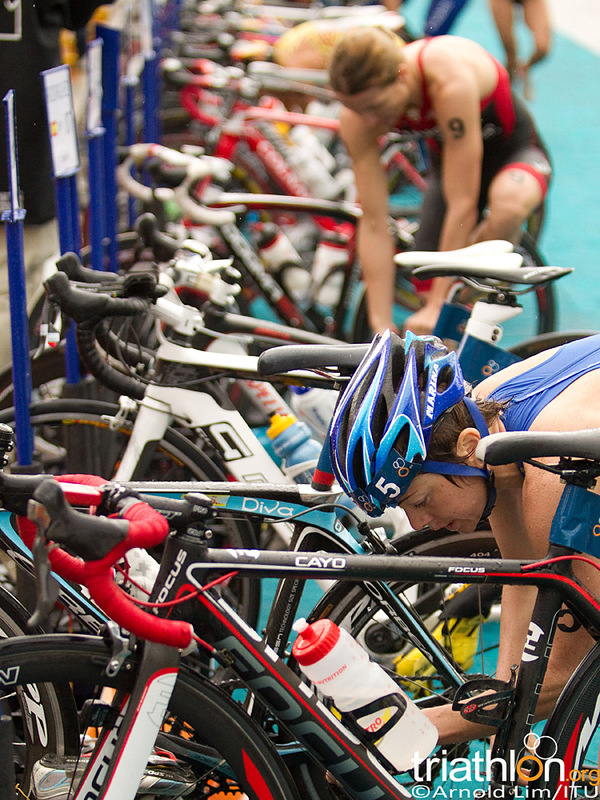 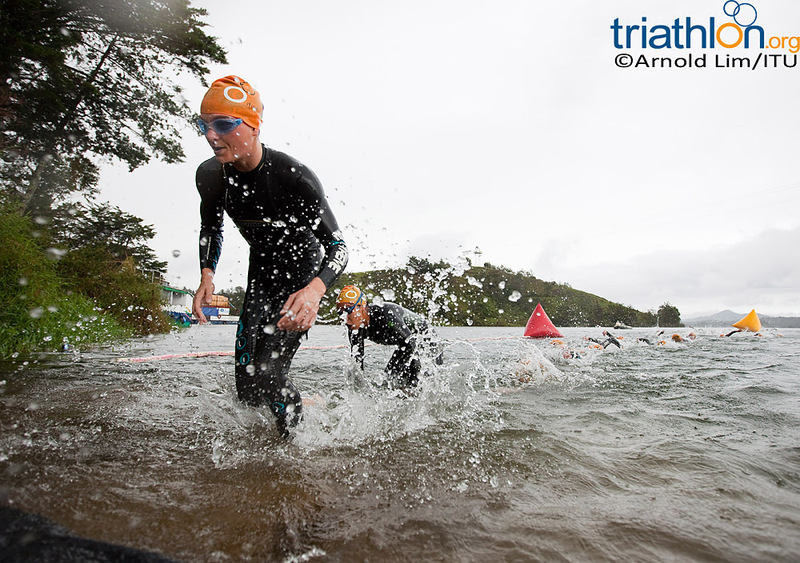 The penultimate round of the 2011 ITU World Cup series heads to Colombia this weekend. 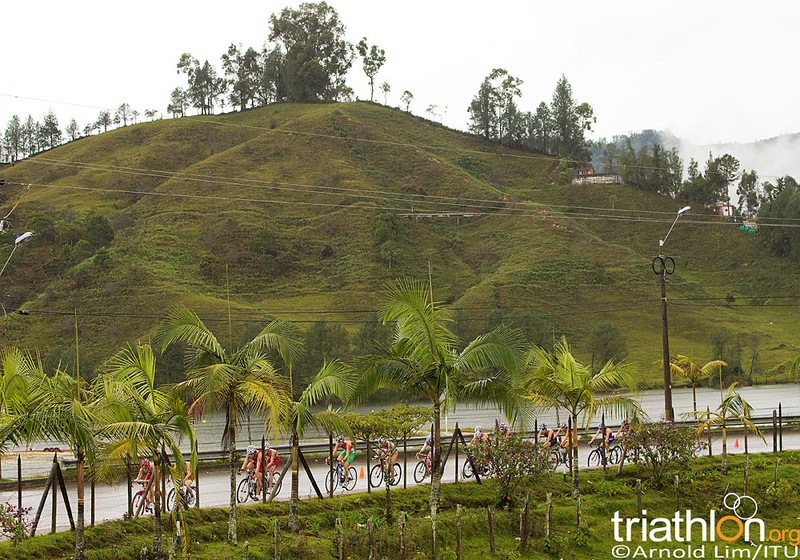 It’s the first time that Colombia has hosted a World Cup since 1992, when there was a race in San Andres. 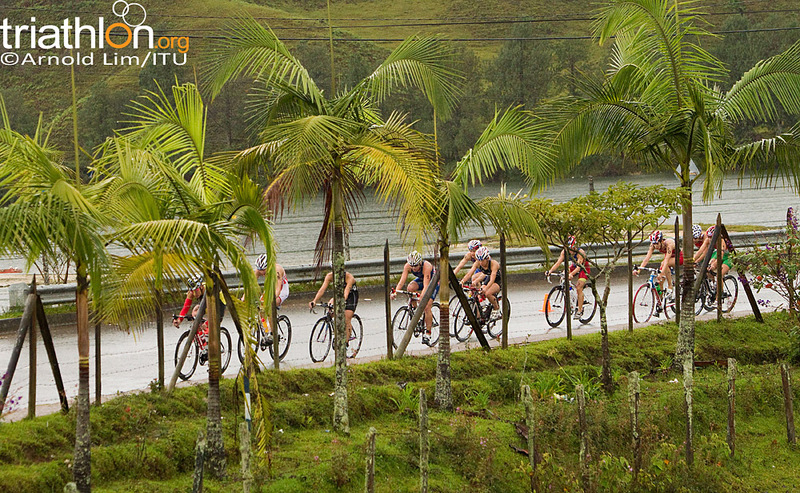 This year it’s the eighth stop on the 2011 World Cup tour, and the second-last, and big fields have turned out to race in this unique destination. 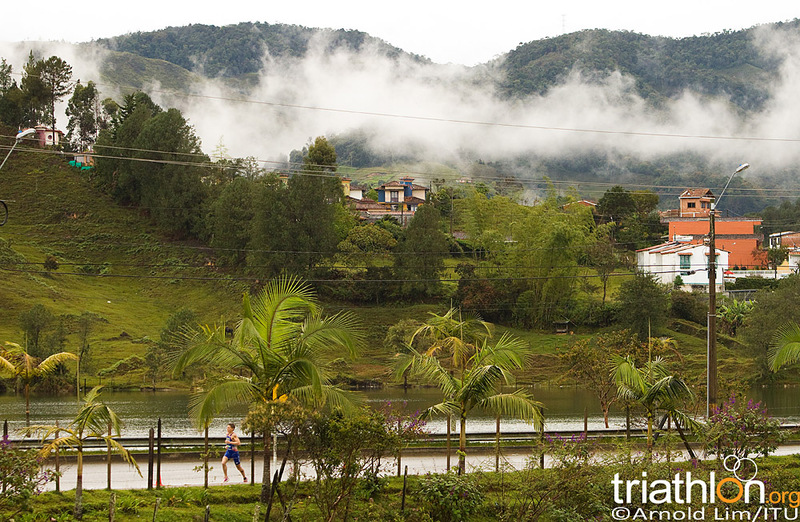 Guatape is situated on the edge of a lake that was created in the 1970s when the government flooded the hilly area around to create a hydroelectric dam. 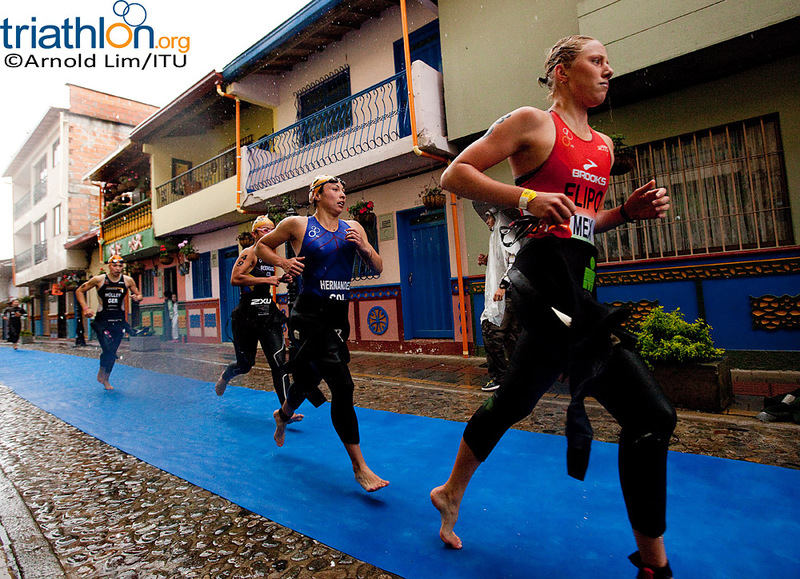 It has hosted ITU Pan American Cup events for the past three years, in 2009, 2010 and in June this year. 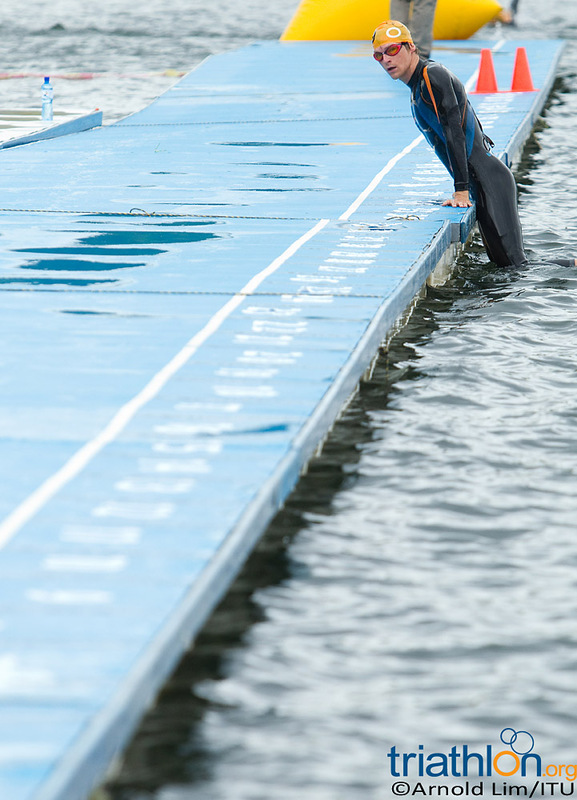 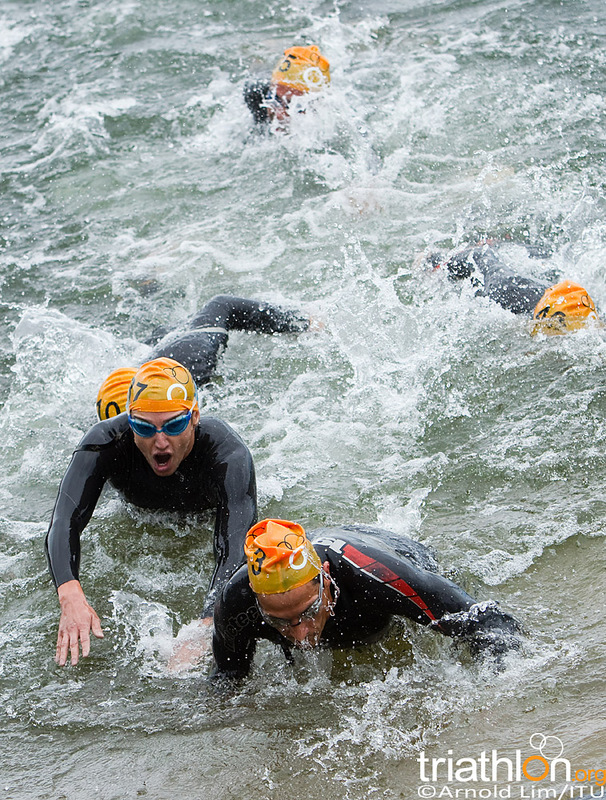 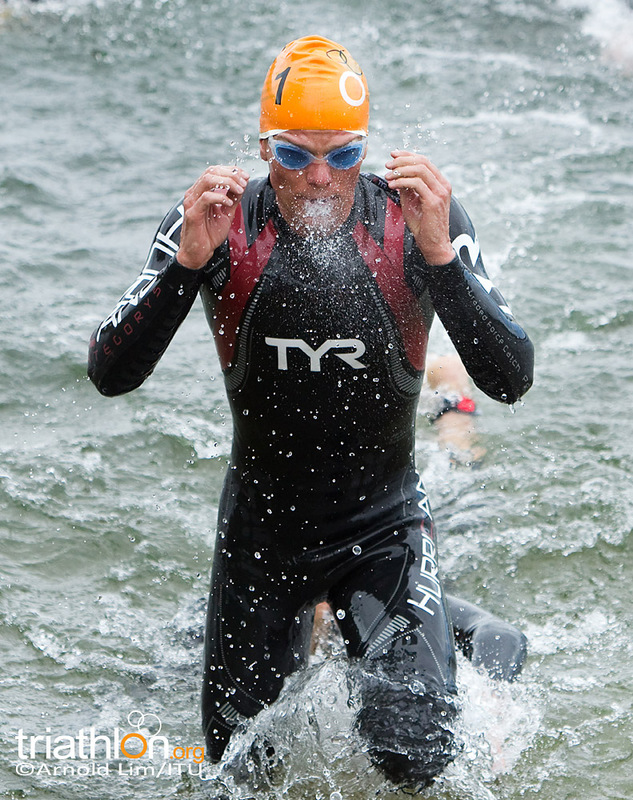 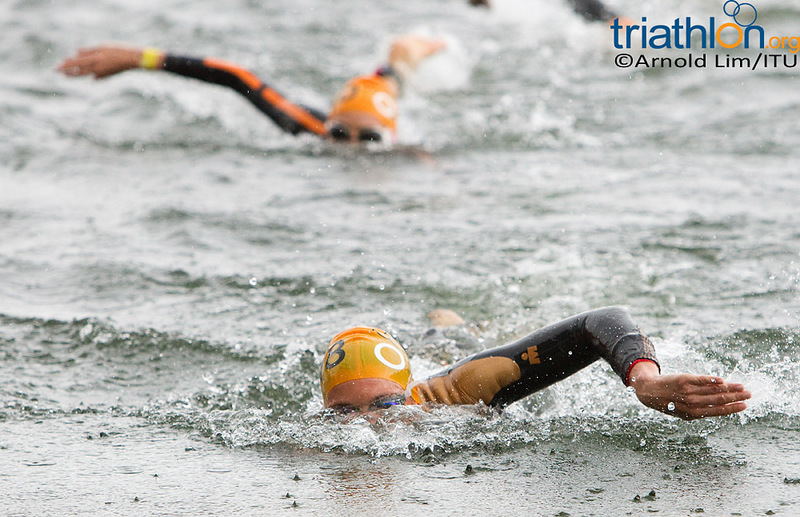 The course starts with two-lap 1.5km lake swim with a pontoon start, before an four-lap 40km bike course and a four-lap 10km run along the waterfront. 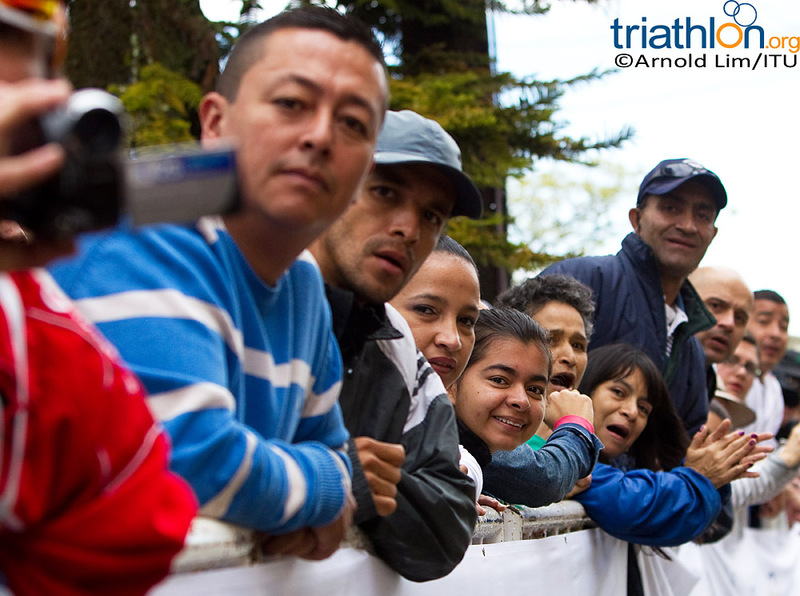 At an elevation of more than 6,000 feet, many athletes have arrived early to adjust to the high altitude. 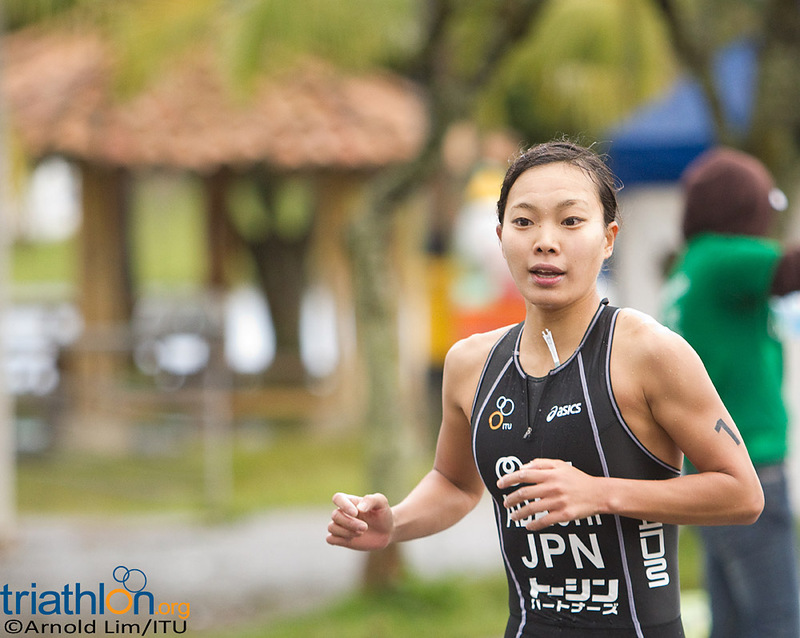 A trio of Japanese women have a rare chance to fill the podium in Guatape, with form backing in Juri Ide, Mariko Adachi and Tomoko Sakimoto this weekend. 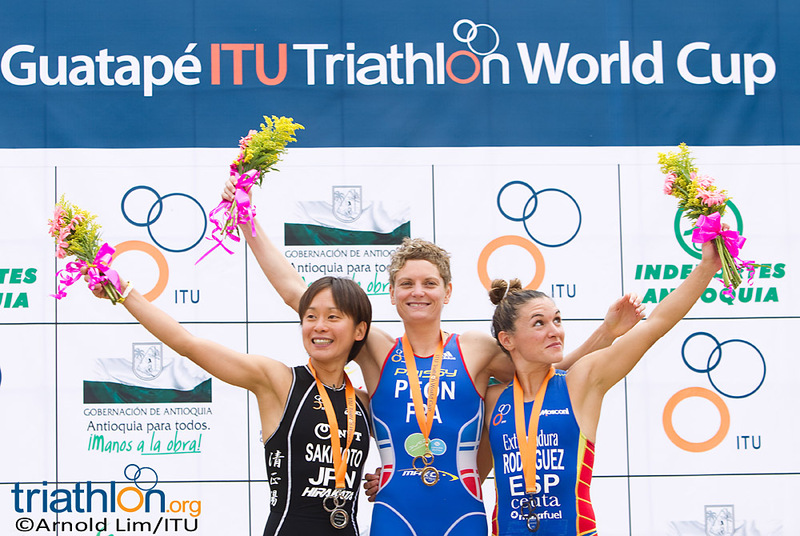 Ide is coming off a stellar World Cup win in Huatulco, while Adachi finished fifth at the Tongyeong World Cup the week after. 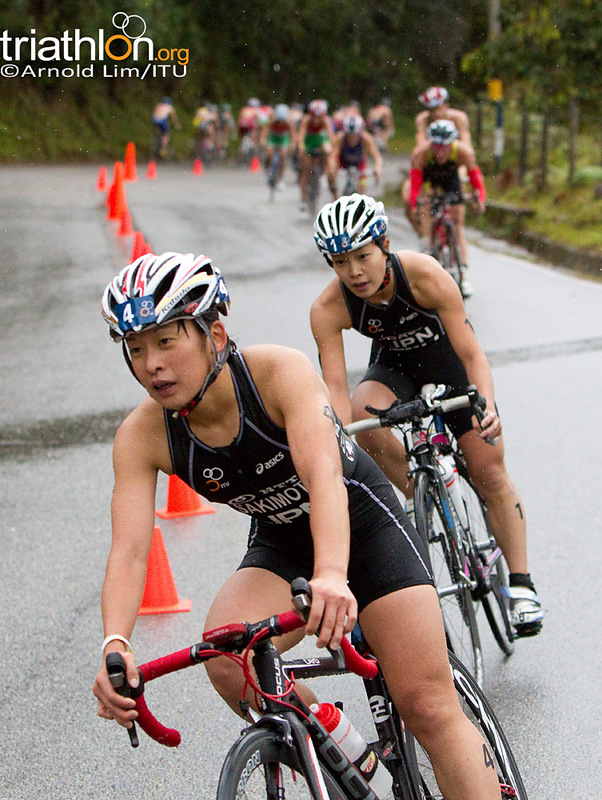 Sakimoto claimed silver at the recent Asian Championships, and has impressed with her run throughout the year. 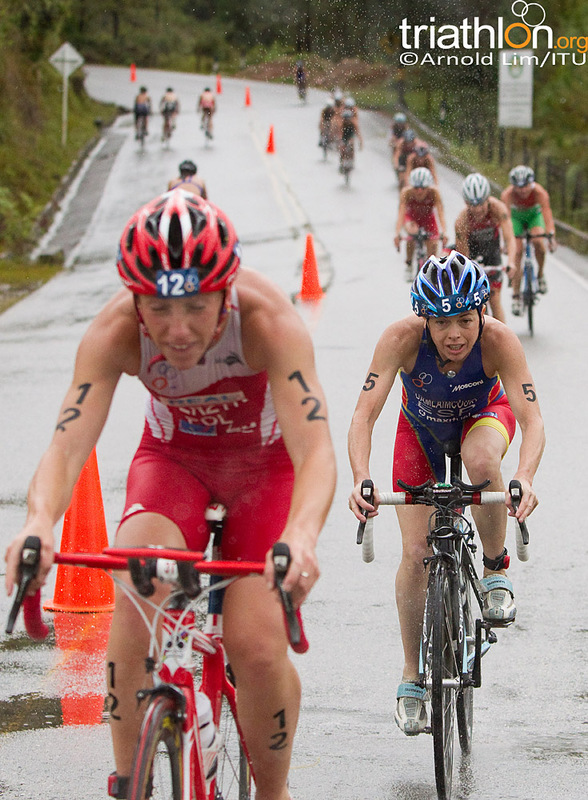 But overall it’s hard to pick who might win, with a host of women hitting late season form. 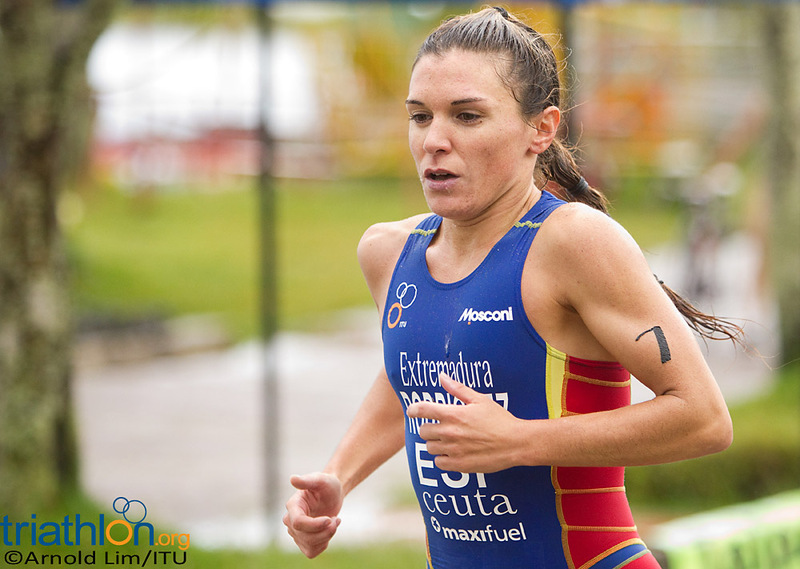 Spain’s Marina Damlaimcourt claimed her first World Cup podium in Huatulco last month and her Spanish teammate Zurine Rodriguez also did the same in Tongyeong. 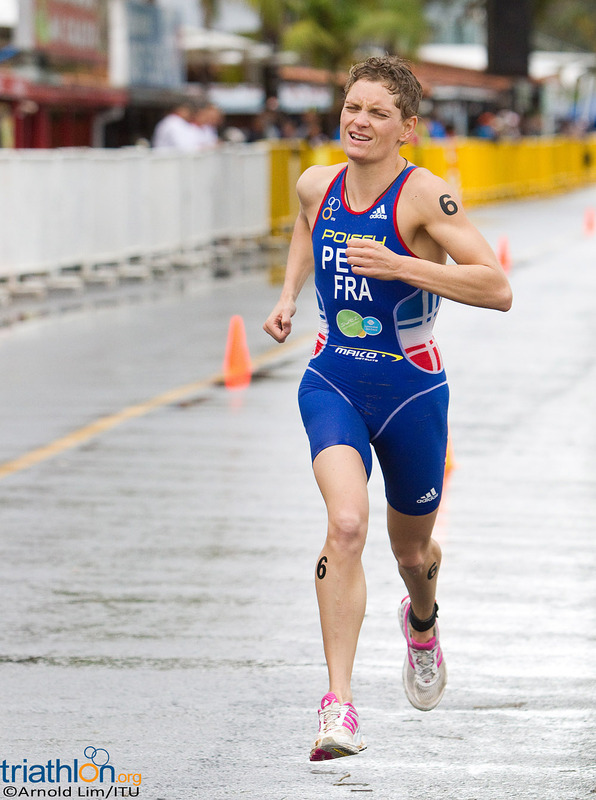 Other women who already have World Cup medals this year include Mateja Simic (SLO), Lisa Perterer (AUT) and Anne Haug (GER). 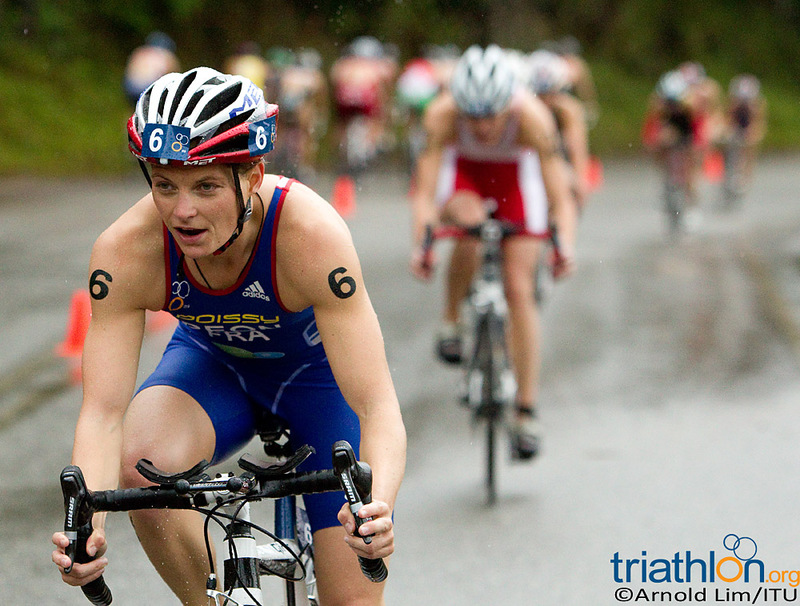 It’s also hard to rule out regular top 10 Dextro Energy Triathlon Series finisher Vicky Holland (GBR), previous World Cup winner Vendula Frintova (CZE) and U23 world champion Agnieszka Jerzyk (POL). 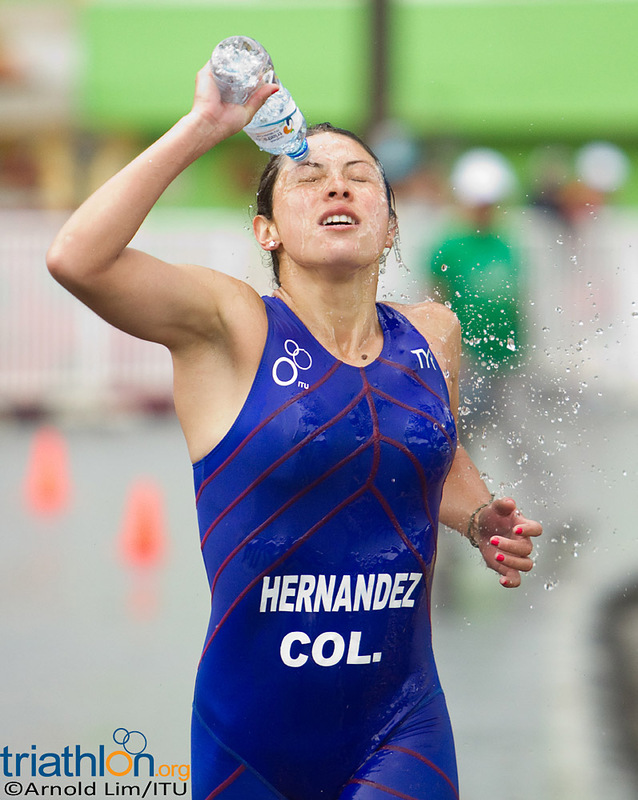 Pamela Nascimento Oliveira (BRA) is coming off bronze at the Pan American Games, while Alexandra Razarenova (RUS) won the European U23 championships just last weekend. 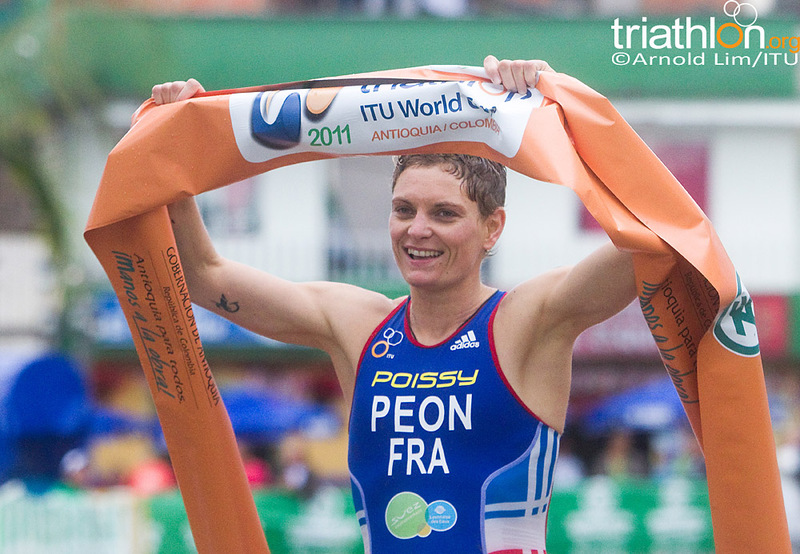 Also not to be discounted is France’s Carole Peon; who has spent time on the sidelines injured this year but finished fourth in Tongyeong. 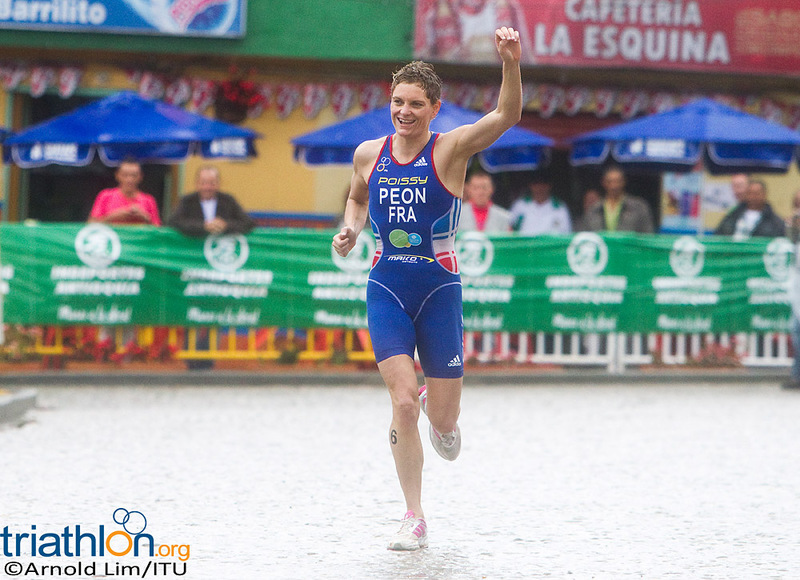 It was Peon’s second fourth in a major race this season; after an impressive showing at the opening Dextro Energy Triathlon Series round in Sydney back in April. 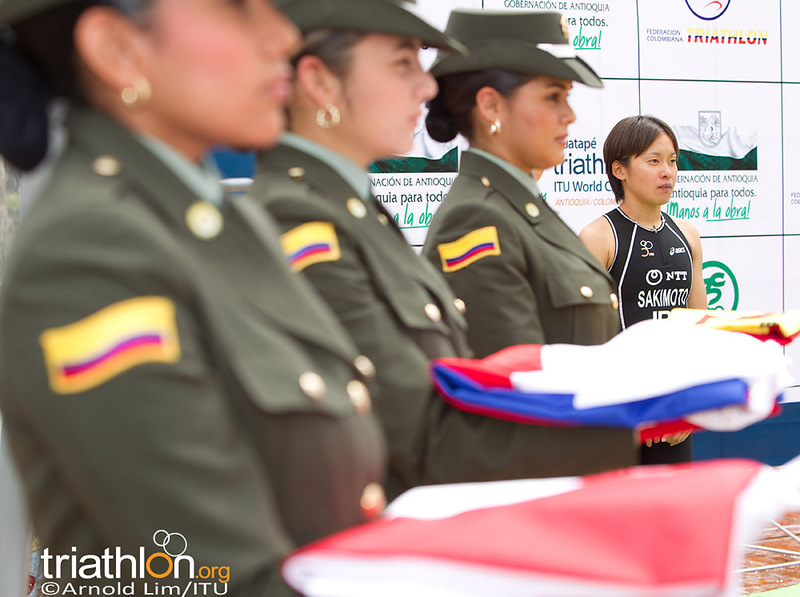 There is also an eight-women strong Colombian team at home, and Ecuador’s Elizabeth Bravo - an ITU development athlete - could also contend. 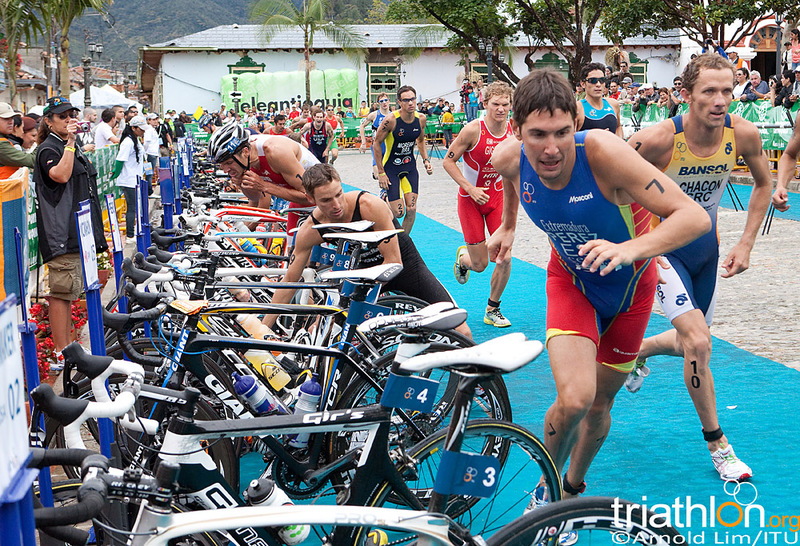 In a large field of 66, expect the men’s race to be just as big a battle as the women’s with a field of quality athletes. 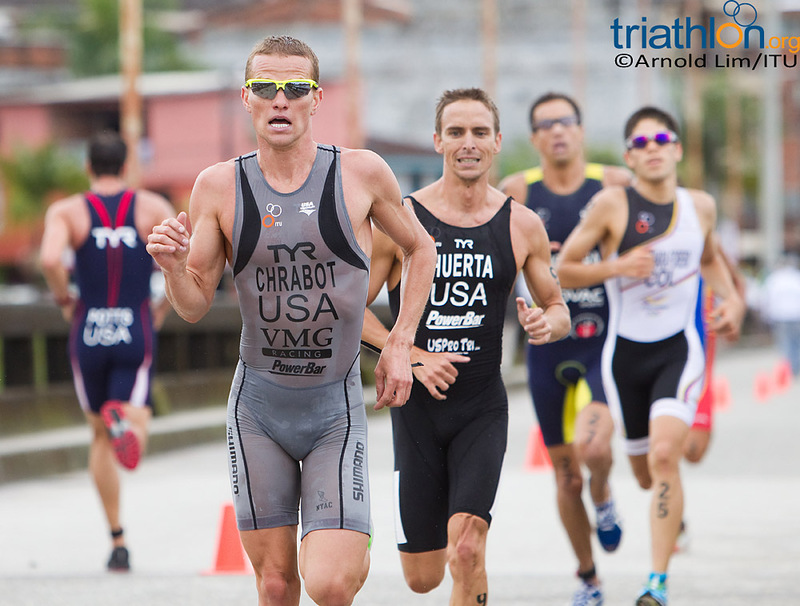 But it’s hard to look past the strong American team as the favourites. 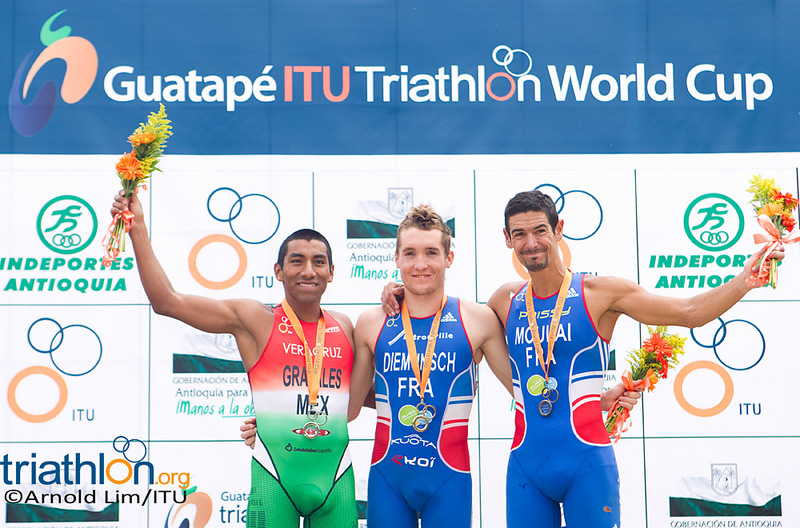 The USA are sending nine men, including this year’s Huatulco winner Matt Chrabot, Pan Am Games silver medallist Manuel Huerta, Dextro Energy Triathlon Series round winner Jarrod Shoemaker and veteran Andy Potts, a 2004 Olympian and 2-time World Cup winner. 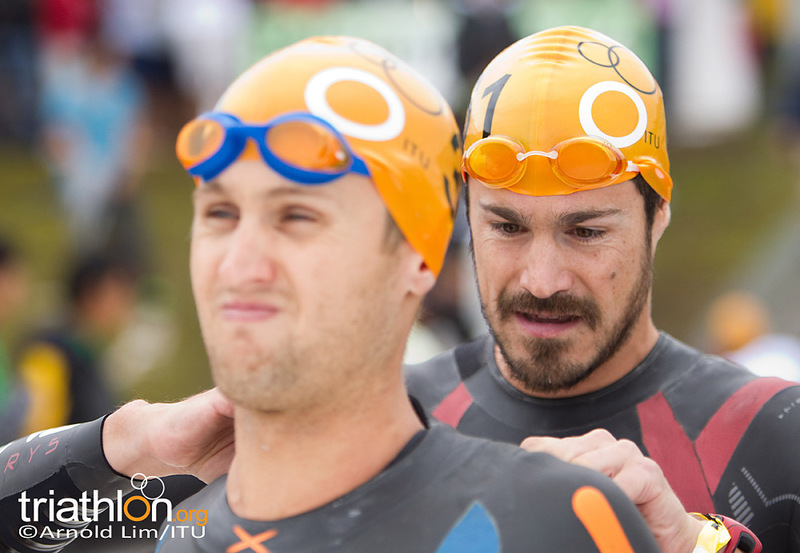 Potts’ presence on the startline is doubly interesting given he tweeted just last week that he was considering another Olympic push. 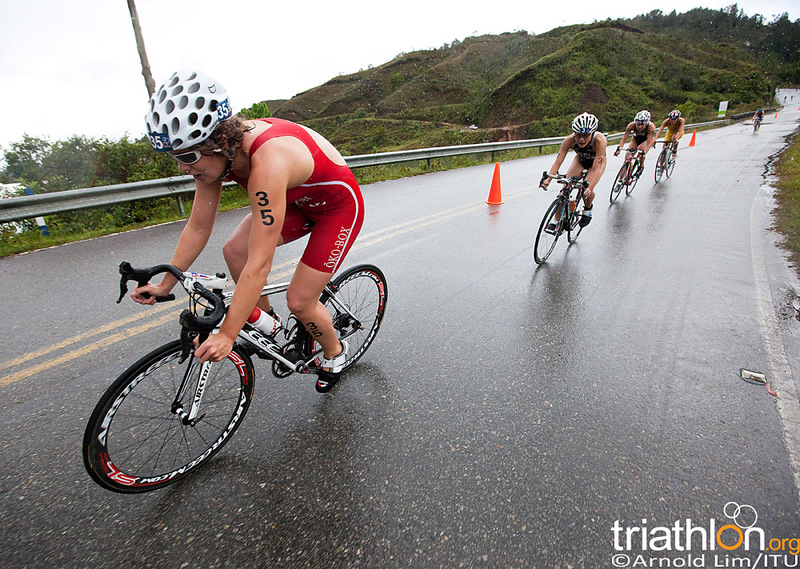 Canadian Brent McMahon has had an excellent year, collecting his first World Cup win and won bronze in the Pan Am Games just a few weeks ago. 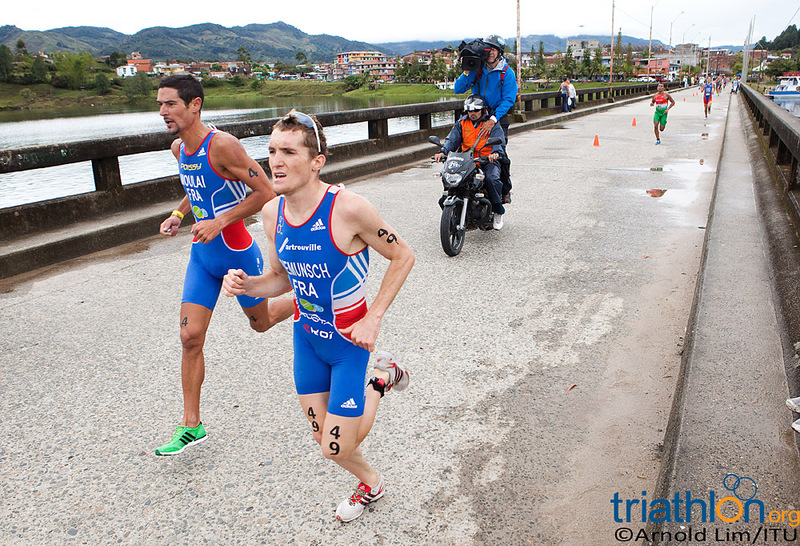 Triple Olympians Juraci Moreira (BRA) and Ivan Rana (ESP) are always dangerous. 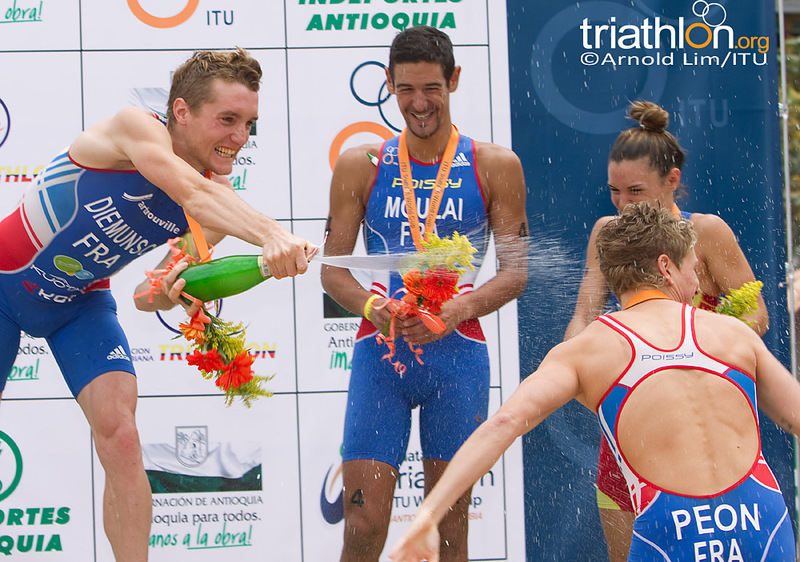 Rana’s Spanish compatriot Jose Miguel Perez is coming off his first World Cup podium in Tongyeong. 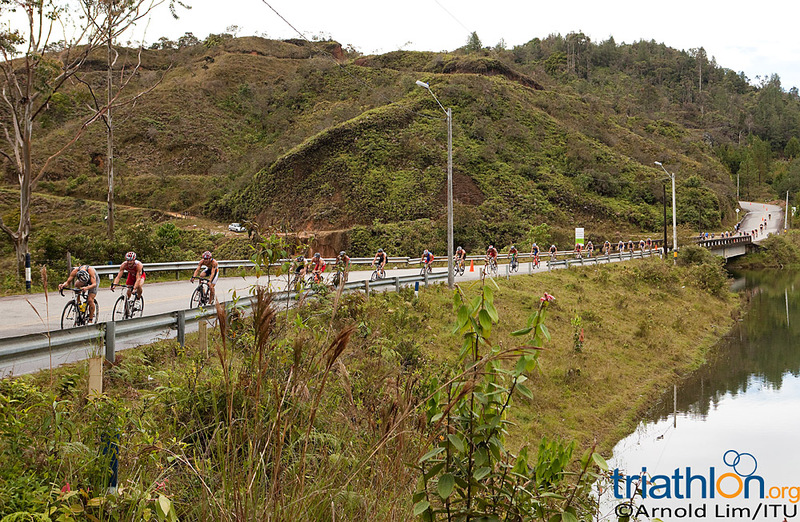 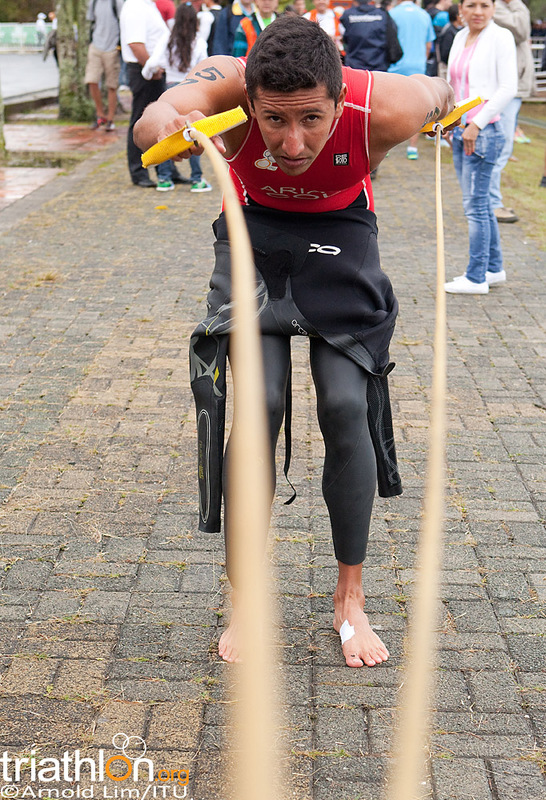 Perez has also won in Guatape before, at this year’s Pan American Cup. 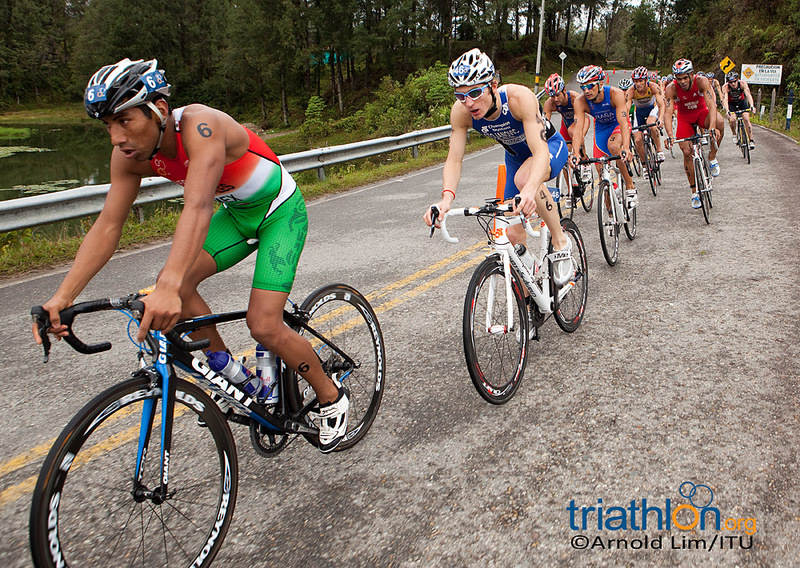 Others to watch include, Costa Rica’s Leonardo Chacon, Mexico’s Crisanto Grajales and New Zealand’s Kris Gemmell (NZL). 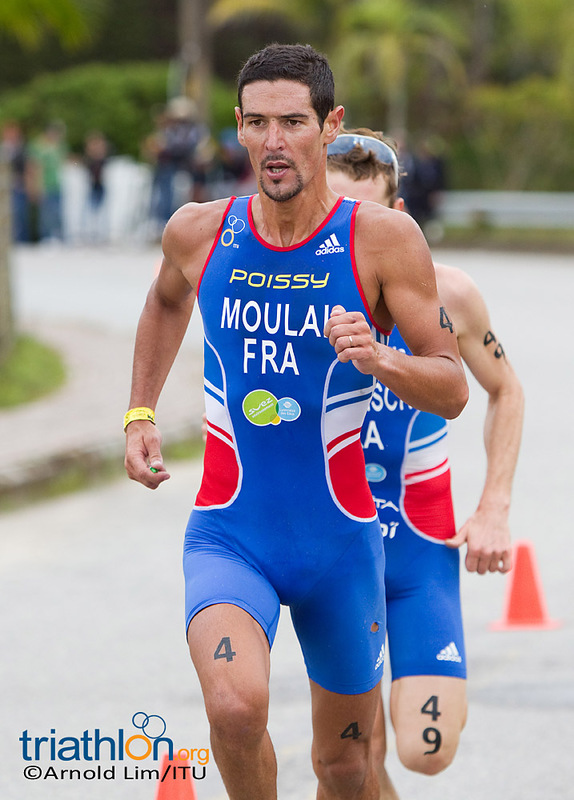 There is also a strong contingent of European talent, including Tony Moulai (FRA), Marek Jaskolka (POL), Andreas Giglmayr (AUT), Dan Alterman (ISR), Gavin Noble (IRL), and Ognjen Stojanovic (SRB). 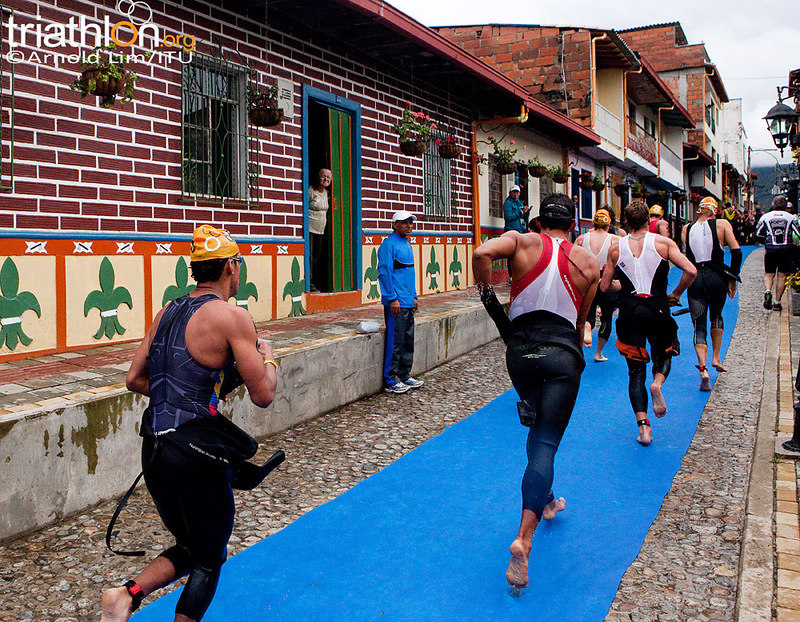 Colombia’s own Carlos Javier Quinchara Forero is another athlete who has won in Guatape before, in 2010, finished third this year and is sure to have the crowd behind him next Sunday. 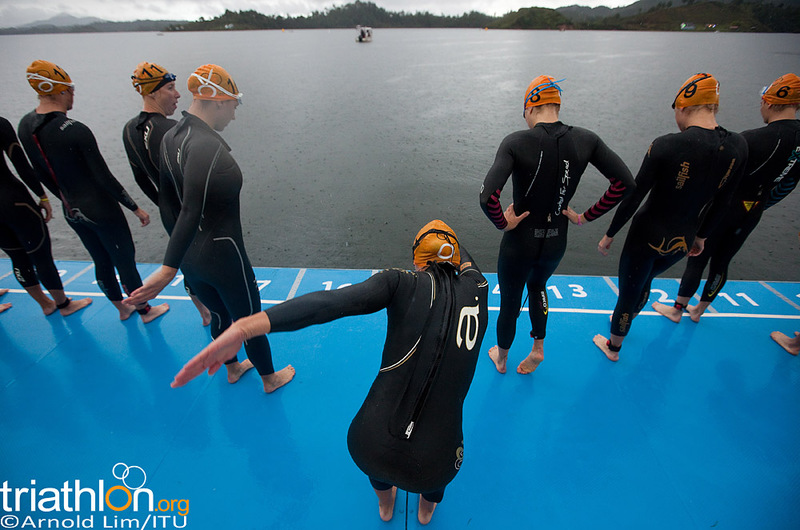 The 2011 Guatape ITU World Cup gets underway when the elite women’s race starts at 7.00am (local time) on Sunday 6 November, followed by the men’s race from 10.00am. 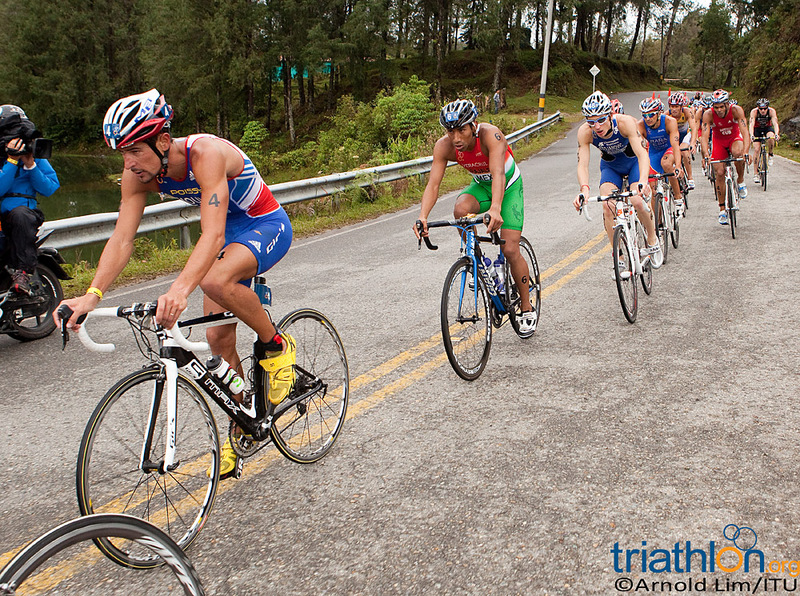 Follow live at www.triathlon.org and on Twitter at twitter.com/triathlonlive.